Nevada is often associated with its desert climate, but this summer, the state has seen quite a bit of high water. Flash floods have impacted parts of the state, damaging homes and turning roads into current-heavy rivers. And that’s what prompted Tech Sgt. Adam Dixon, Staff Sgt. 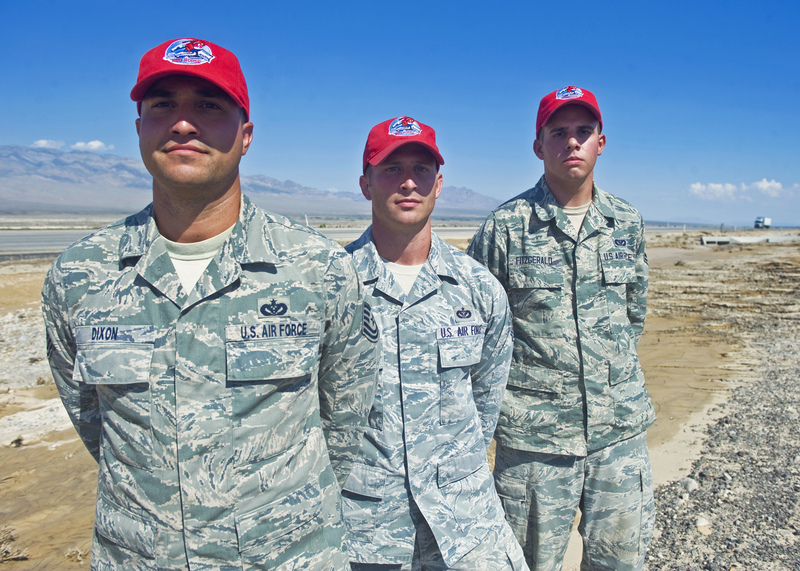 James Maxwell and Airman 1st Class Christopher Fitzgerald, all members of the 820th RED HORSE, Nellis Air Force Base, to act on Aug. 4 when they saw an elderly couple trapped in the water. The three airmen and three members of the 799th Air Base Squadron, Creech Air Force Base, helped rescue the couple trapped in their Toyota Prius after they had attempted to cross over a median to bypass the rising water, according to a news release. As the current picked up, Maxwell ran over to Dixon to help keep the door open long enough for the couple to escape. “It was pretty intense because we could see another car floating towards us and we didn’t want to get pinned by it, so I know we were both pushing as hard as we could on that door,” Maxwell said. That’s where Fitzgerald came in: while the elderly gentleman was able to quickly exit, his wife needed assistance. Fitzgerald was able to get close enough to grab her and carry her to higher ground. And the situation could have been catastrophic in no time, the airmen said. “Right after the couple got out, the car floated down the median, and seconds after that we saw it upside down,” Dixon said. One rescuer that had been assisting the three RED HORSE members was swept away by the current, but was quickly pulled out of the water by Jones, as Parnell and Staff Sgt. Tye Warner, also with the 799th ABS, repositioned cars on the highway so that they would not be caught and swept into the median. “I’m just happy [the couple is]okay, and I’d think that even if we weren’t there, somebody else would have gotten them out of there,” Dixon said.